A name like “Brewers Batch Virginia-Highland Whisky No. 2” requires some explaining. 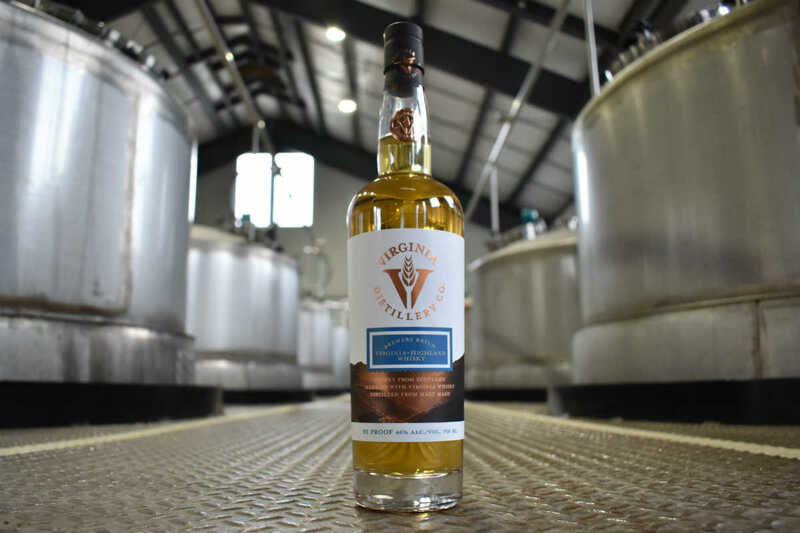 First, it’s a limited, five-casks-only release from Virginia Distillery Company. Second, the spirit is a blend of scotch with 100 percent malted barley whiskey made by Virginia Distillery Company. Third, it’s been finished for 12 months in whiskey barrels that D.C.-based Three Stars Brewing used to age their Whisker Assassin’s Barrel Aged Strong Ale. The spirit pours a faint gold in the glass and has a funky, earthy, vegetal nose that I couldn’t help but associate with French onion soup. While its first sip reveals milk chocolate, it also has a hoppy, vegetal strain that’s persistent throughout the entire experience. It starts mild in body and heat, and picks up pecan at the center. Once the whiskey hits the back of the palate, it’s first sweetened by caramel and vanilla, and then takes on oak as it grows hotter, creamier, and more tannic. A burst of spice brings in dry biscuit, which is followed by a rich and sweet toffee hit. The spicy, dry conclusion has a respectable life of its own. All that may sound like a relatively normal whiskey drinking experience, but I just can’t overstate the hoppy, vegetal funk that colors the background from start to finish, making it anything but a typical brown spirit. If you’re the type who hides from high-IBU counts, this will not be your cup of tea. But if you’re a lover of whiskeys and IPAs, you’ll find a remarkable synergy here in the form of Brewers Batch No.2.